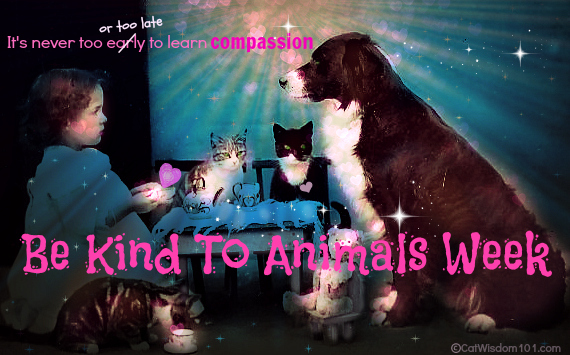 To celebrate the long history of “be kind to animals” I created this artwork from a vintage black and white image. These vintage posters may look dated but the message remains the same. Let’s make every week “be kind to the animals week”. 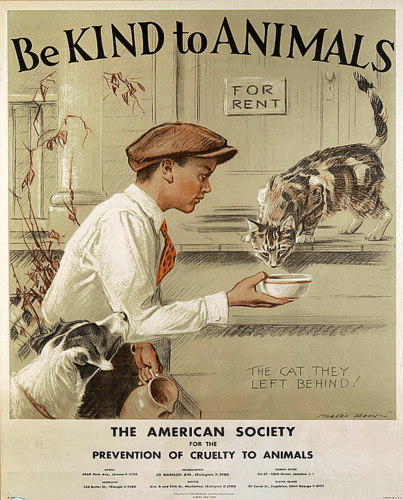 This 1935 vintage poster “the cat they left behind” by Morgan Davis from the ASPCA is as timely as ever. Cats are being abandoned in record numbers from home foreclosures or simply by being dumped for whatever reason. At the heart of every sad story is pain and ignorance. When misfortune or tragedy hits, there is a choice. Cats can be surrendered to a shelter, a foster home found or other alternative. With the advent of social media there’s no longer a reason cats, dogs or any pet to be viewed as disposable. It’s up to those who know better to teach those who don’t. One tweet or Facebook share might make all the difference in the world to one cat. We’ve come a long way in a hundred years but we can make a quantum leap forward to kindness and compassion in this generation. You can never do a kindness too soon because you never know how soon it might be too late. Kindness begins at home. Children model behavior from their guardians and their peers but it’s not enough to be kind or not cruel. Many cruelties are born of ignorance by not knowing why cats need to be spayed/neutered or any basic knowledge of cat care and behavior. I’m of course preaching to the converted at Cat Wisdom 101. 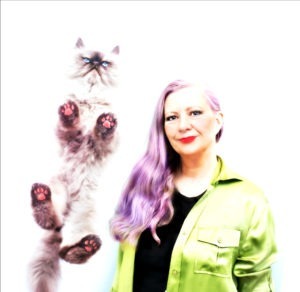 Our readers are unusually savvy and it’s our mandate to continue to enlighten and entertain cat lovers. 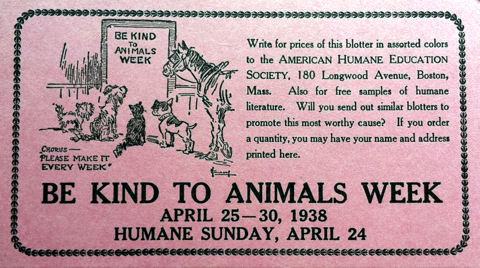 Imagine if every reader did one act to spread the word of everyday kindness to animals. Wonderful blog. 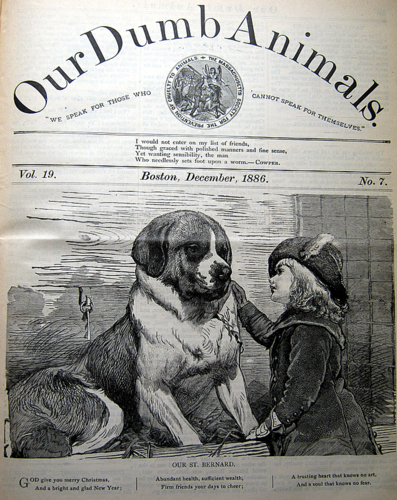 The MSPCA’s work carries on George Angell’s work, a super heritage. And Angell Memorial Animal Hospital in Boston is one of the finest referral hospitals in the world. Those vintage posters are so cool. We wish that humans as a species would evolve so that such campaigns are no longer necessary. This is such a good post and I love the vintage posters. I have been watching a series of programmes on TV about the RSPCA and the work they do. I cannot understand the mentality of some people and the way they treat animals!! It beggars belief. I don’t know how the inspectors manage to bite their tongues sometimes!! I do despair! We are always kind to the dumb animals, humans deserve that! This is really neat–thanks for sharing it! St Francis said it best…. N theese pozters R awesum…we loves number three 🙂 !! Excellent post, Layla. And you certainly know how I feel about the subject – it is imperiative that those of us who can act as the impetus for positve change do so. I feel the act is contagious, and for every tweet or status update that might not have otherwise been shared, because it is being shared, we can make a difference. 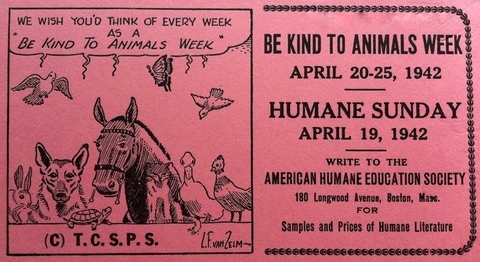 wonderful to see these vintage posters……..I just wish “Be Kind To Animals Week” Was EVERY DAY of the year for those OUTSIDE of our world!! I think it’s poor commentary on our species (i.e. human) that we have to be taught to be kind to other Beings. It’s a terrific campaign, but would that there were no need. Would that people recognized that they, too, are animals and are part of Nature, not separate and/or dominant. Anyway, these old posters are neat to see! I really do not understand how somebody can just abandon a kitty! And neither can my human.